Living with pain day in and day out can change your quality of life. You compromise, give up and miss out, but where can you turn when you’ve had enough? At Rural Spine and Wyoming Spine Institute in Rock Springs, we understand how pain or the loss of spinal function can drastically impact your quality of life. Our team has the focused expertise to help you return to the activities you love. Rural Spine also offers services for patients in Holdrege and Sidney, NE. Back pain is the second most common reason to visit a doctor, surpassed only by the common cold. It affects about half of the U.S. population every year, including an average 600,000 people who will have back surgery. Luckily, with advances in surgical technology, more and more people are able to get the care they need and achieve a quick recovery. About 80% of the population will experience chronic back pain at some point in their lives. With rising healthcare costs, it is important to choose your physician wisely and get it right the first time. At Rural Spine and Wyoming Spine Institute in Rock Springs, we treat the problem, not just the symptoms. We take a compassionate and comprehensive approach to your personal treatment plan. With our team of physician assistants, physical and occupational therapists, nursing staff and the Yampa Valley Medical Center, Dr. Fabian and his team at Rock Springs Spine Institute offer state-of-the-art techniques, both conservative and surgical to successfully treat your chronic back pain. To provide state of the art, best practices, evidence-based spine surgery services to Wyoming, Nebraska and other American rural communities, with compassion and empathy for our patients, and with outcomes, patient satisfaction and performance metrics that surpass those of the best Spine Surgery Centers of Excellence in the world. Rural Spine and the Wyoming Spine Institute are dedicated to providing complete diagnosis and treatment for patients with spinal disorders, offering the full spectrum of advanced diagnostic, therapeutic and surgical services. 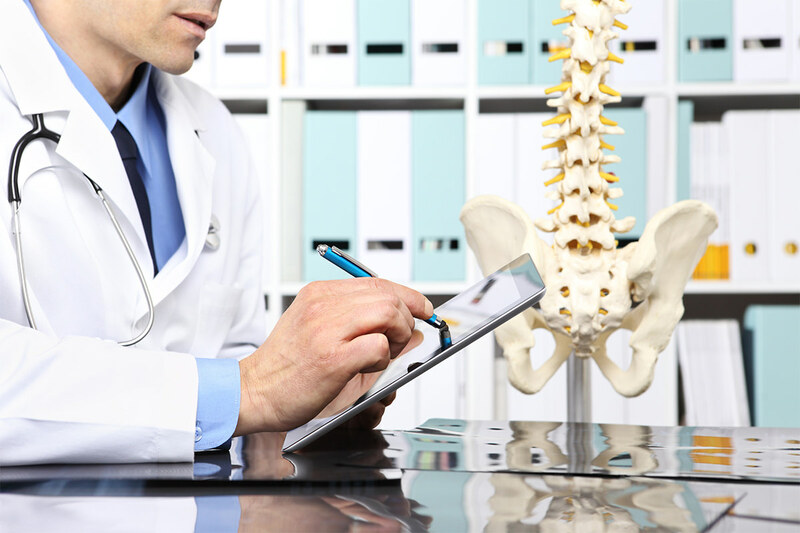 A comprehensive approach to the diagnosis and treatment of spinal disorders is essential to successful treatment. Good communication between physician and patient is vital to our goal of successful treatment and return to good health. We encourage patients to be involved in the decision-making process. The first step in any medical decision is education. We believe that having an understanding of the body’s anatomy and how things can go wrong, as well as good communication between you and your doctor, are the keys to success. We use a multidisciplinary team approach to evaluate patients and to formulate personalized treatment plans. This methodical, compassionate approach assures the best outcomes for our patients. In our program, you decide the treatment. We believe that patients should be given the latest and most complete information available in order to make the treatment decision that is right for them. Our role is to offer treatment options and advice. The decision is always yours.